Beans: Store in glass jars – canning jars with metal lids are a good choice – or airtight opaque containers in a cool, dark place. For best results use within one year. 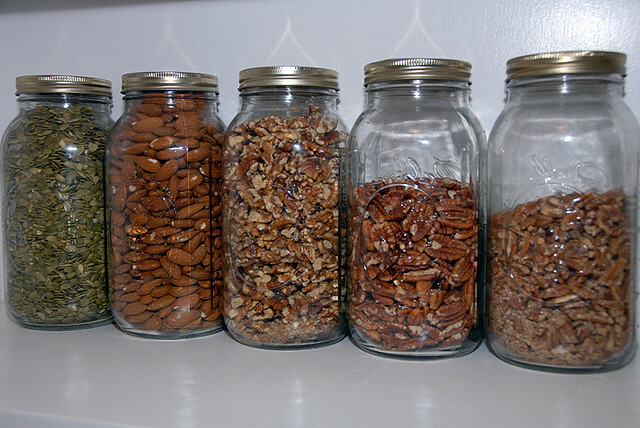 When I can I try to find the gallon size jars like the ones shown below. 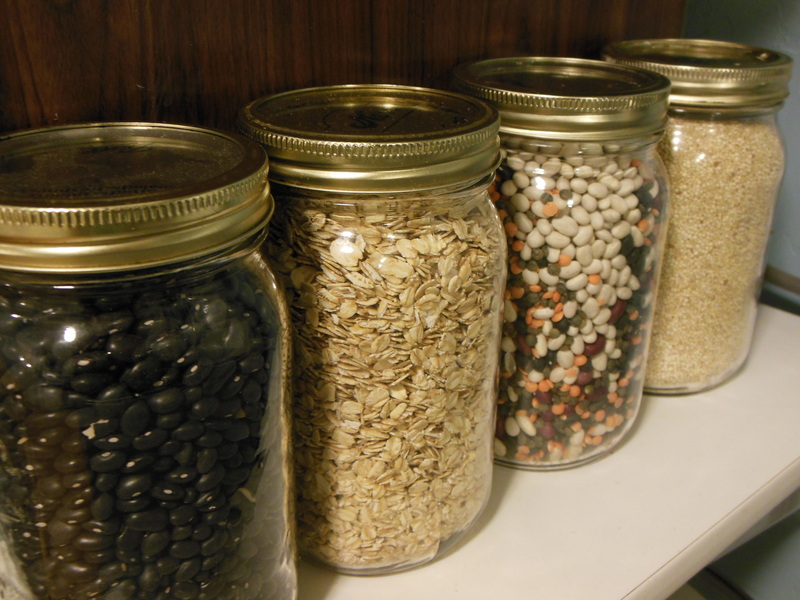 Grains: Like beans, choose a glass jar with a tight seal to store your grains. Again, those canning jars with metal lids are fantastic. I am always on the lookout for a good buy at the end of canning season or at the local Goodwill store. Grains can be stored for up to 6 months. You can see my oats and some bulgur in the pic above! Whole Grain Flours and Meals: In general, whole grain flours spoil more quickly than intact grains, because their protective bran layer has been broken up and oxygen can reach all parts of the grain. If stored properly in airtight containers, most whole grain flours are best kept in the freezer from 2 to 6 months. Vegetables: As a general rule, they are perishable and should be kept in the refrigerator. I keep my mushrooms in brown paper bags vs. plastic. 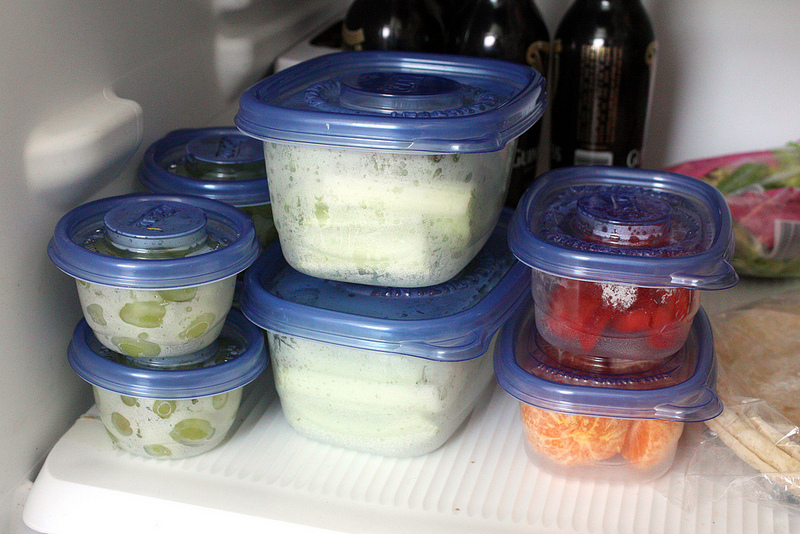 I like to wash and prep my foods and store them in glass or clear containers so they are easy to recognize and ready to go when I want them for salads, soups, etc. Onions, potatoes and tomatoes are an exception. They should be kept out of the fridge. Fruits: Keeping them in a cool location away from heat sources like your stove will help them last longer. But remember to keep some handy in a bowl on the counter, where you will see them and eat them fresh! I have found that my bananas ripen slower if I pull them apart vs. keeping them in a bunch. I also buy them a bit on the green side, I happen to like them more “green.” If they do ripen, I don’t worry because I peel them, cut them into chunks and put them in airtight containers and pop them in the freezer. Frozen bananas are perfect for smoothies and my favorite banana ice creams! Spices: Store in airtight containers at room temperature. Baking staples: Baking soda and baking powder should be kept in airtight containers and should be switched out every 12 months for best effectiveness. Putting a box of baking soda in the fridge will help to eliminate odors. To keep things really fresh, replace every three months. Coffee: Keep your beans in the freezer to preserve their freshness. Grind as needed. 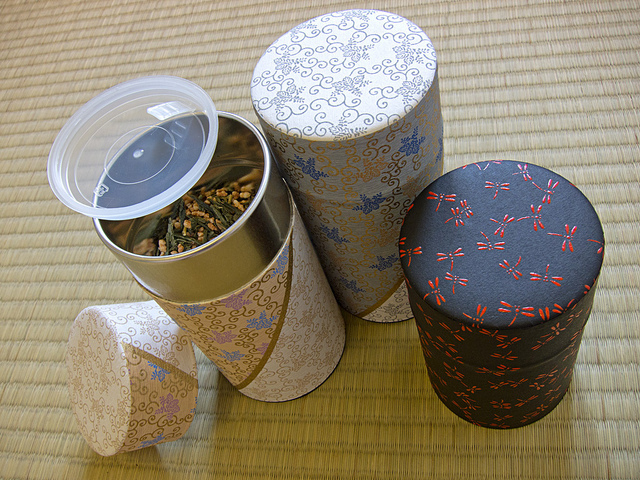 Tea: The best way to store loose leaf teas is at room temperature in an airtight tea canister. Do not keep your teas stored in the freezer like coffee beans. If kept in a non-airtight fancy container or near any type of heat source like your stove or toaster, your delicious teas will lose will quickly lose their wonderful scent and flavor.